The goal is to pick a diet that will enable weight (fat) loss, but to do so while promoting health, maintaining good energy, and will not cause muscle loss. Also a well-designed diet should NOT cause an ongoing feeling of hunger. For decades government-based dieticians have been telling us to not eat much fat and to especially avoid saturated fats – instead to use margarine and prosessed seed oils such as canola oil. This is pretty much the opposite of the truth. This nonsense grew from a dishonest study published by Ansel Keys around 1960. The government accepted it and promoted Keys’ recommendations even to this day! There are several vegetarian/vegan diets such as advocated by doctors Ornish, Greger, McDougall, Esselstyn, and others. These are high-carb-low-fat diets and are often touted as the way to go for dealing with Heart disease and even diabetes. There are reports of success with such diets. However, this method is not for everyone. Such diets are difficult to implement so as to provide adequate nutrition in regard to certain vitamins and necessary fatty acids, ESPECIALLY LONG-TERM. Ironically, strict vegan/vegetarian diets sometimes lead to EXCESSIVELY LOW CHOLESTEROL. When the body has the raw materials, it manufactures approximately 2,000 mgs of cholesterol daily. Every cell in the body NEEDS cholesterol! On such diets it’s easy to overdo the carbs, in which case insulin converts the excess glucose into fat for storage. Also high carbs often leads to insulin resistance and high blood sugars which are dangerous and quite unhealthy. researcher Ivor Cummins points out that only about 30% of the population are genetically equipped to be able to be healthy long-term on high-carb-low-fat diets. Also vegan diets are usually based more upon ideology than on science. In short, high-carb-low-fat meatless diets in the long-term are not healthy for most people. These have been two somewhat popular diets for decades – that include meat. But considering their time in the public eye they are not so very popular. Chris Kresser reports of studies comparing the basic Paleo diet against the Mediterranean Diet. the Paleo diet provided better metabolic (health) markers, was superior in terms of weight loss, and was more satiating – therefore easier to stick with. Also consider that the Mediterranean includes “whole grains, breads.” There is strong evidence now available on the detrimental effects of grains including wheat and rice, whether processed or whole grain. Between the two, Atkins looks better, but from a scientific perspective there are better omnivorous alternatives available so I’m not going to dwell on these two diets. Scientists have learned about the diets of our paleolithic ancestors (ie: prior to civilization). This has led to the relatively new “Paleo diets.” These diets have evolved through science and actual practice to become quite successful. “The most nutrient dense foods you can eat are organ meats, herbs and spices, nuts and seeds, fish and seafood, beef, lamb, and wild game, eggs, vegetables, and fruits. And those are exactly the foods that a Paleo diet emphasizes,” wrote Chris Kresser, nutritionist and paleo expert. Paleo diets vary but generally are fairly high in fat. It seems like common sense that eating fat would tend to make a person fat. But in reality that is not necessarily true for several reasons. Fat does not cause sugar/insulin spikes. Fat provides energy in a more even and consistent manner than carbs. Fat satiates hunger for longer periods of time, therefore overeating is less likely on high fat diets. High-fat-low-carb diets seem ideal for overcoming insulin resistance and leptin resistance. For most people such a diet would likely work, but again due to genetic and other differences from person to person, diets need to be customized to fit each person. Paleo diets are becoming popular despite 50 years of anti-fat propaganda, because they work – people become healthier. 3) The really high fat diets known as KETOGENIC. First let’s consider the most dramatic option – the ketogenic diet. This is a diet of such high fat content that the body is induced to switch from burning glucose as the primary fuel to instead burning “ketones” (a kind of fat molecule). When the body is burning mostly ketones for fuel the person is said to be in “ketosis.” To achieve a state of ketosis may take a few weeks and may require a diet of about 80% fat, 10-15% protein, and only 5% carbs. Ketones are said to “burn cleaner” than glucose (less waste products). Some people report clearer thinking, improved cognition, and more energy. Appetite is satiated for much longer periods than when on high carbs so it is easier to eat less. This diet is often successful for losing excess fat. Such reports make the ketogenic diet very appealing. Also it is sometimes advocated for people with neurological diseases and as a diet against cancer. 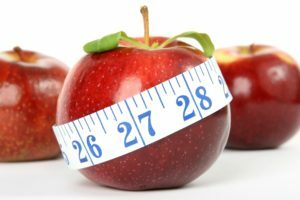 Although some people love this diet and claim better health by it, it does seem extreme and it is quite controversial. So what’s the science on it and what about it is controversial? The body needs some glucose. Dr. Rosedale, who is a big fan of ketogenesis, says that theoretically we don’t need to eat carbs AT ALL because the body can make glucose out of fat or protein (gluconeogenesis). Dr. Jaminet agrees we need glucose, but points out that converting fat or protein to glucose requires energy, thus using body resources. Also, although the brain can operate on mostly ketones it must always have at least 25% glucose. So ideally the diet should always include some carbs for easy access to glucose. Dr Terry Wahls MD has an extraordinary story. She developed multiple sclerosis (MS) which became progressively worse. For years the medical establishment could not help her. After becoming confined to a wheelchair she began to study nutrition scientifically and to experiment. She found that supplements helped a bit but her health still declined. She tried a basic Paleo diet and also a ketogenic diet – no improvement. Then she modified the Paleo diet to maximize nutrients from food. Eventually she fully recovered from MS!!! (Which the medical establishment said could not happen with her situation). Wherever there existed winter, our paleo ancestors must have gone into ketosis during that period because fruit and vegetables were not available. So ketosis is natural at least for some months at a time. Nearly all populations an earth, if restricted to a very high fat diet for just a few weeks, go into ketosis. HOWEVER, THE INUIT DO NOT GO INTO KETOSIS! They live very far north and must live on a very high fat diet for almost the whole year, which they have done for thousands of years. If any population should go into ketosis, it seems the Inuit should! Dr Chris Masterjohn PhD studied the nutrition of the Inuit. He found they indeed live on a very high fat diet but do not go into ketosis. Why not? AMAZINGLY THEIR ANCESTORS HAD DEVELOPED A MUTATION THAT PREVENTED KETOSIS!! The reason is that very long periods of ketosis greatly increases the chance of KETOACIDOSIS (acidic blood) which is soon deadly. The ketone-producing ancestors of the Inuit must have died off leaving those who had the mutation that enabled fat to be used for fuel WITHOUT making ketones, thereby avoiding ketoacidosis! This is an indication that the ketogenic diet may not be safe for longer than a few months although it has proven to be therapeutic in various situations, and a few people do use it ongoingly. DIABETICS BEWARE. The ketogenic diet has been suggested for diabetics. That seems reasonable since going keto means less blood sugar and less insulin – therefore a potential cure for diabetes. However, diabetics are vulnerable to developing LACTIC ACIDOSIS, especially when the drug Metformin is used. Lactic acidosis results in acidic blood just as ketoacidosis does, which again can be lethal. It would be a potential double whammy for the diabetic, so going keto seems too dangerous for diabetics. She offers three: Her personal diet that cured MS; the Wahl’s Paleo Diet; and Wahl’s Paleo Plus Diet. WAHL’S PALEO DIET consists of 9 cups of veggies and fruit per day, organ meats, fish, fermented vegetables, nuts, seaweed, certain fats such as coconut oil, ghee, olive oil, avocadoes. The 9 cups are divided into 3 cups of greens, 3 of sulfur veggies, 3 of fruit and veggies of many colors all the way through. WAHL’S PALEO PLUS DIET is considered moderately ketogenic. It is similar to above, except there is less carbs and more emphasis on including healthy oils and fats, especially coconut oil and olive oil. It includes fruit and veggies, but less than above. This diet is less extreme than the standard ketogenic diet in that is provides more carbs (no starches) for nutrition while still enough quality fat to produce a moderate amount of ketones. This diet may include supplementing with MCT oil. Dr. Wahl permits some supplementation as needed. She especially recommends taking vitamin D3 along with K2, A, and E.
For diabetics both of the Wahl’s Paleo diets are possibilities. Her book is The Wahls Protocol. Another brilliant individual whose health was declining for years is Dr Paul Jaminet. He is a PhD astrophysicist. For years doctors could not help him. It occurred to him that nutrition might be the key. For five years he delved into the scientific studies and ultimately developed “The Perfect Health Diet.” In the meantime he had cured himself with this diet. Jaminet’s diet is also paleo based, but with improvements. His diet and Wahl’s are similar. Both recommend whole vegetables, certain fruit, and organ meats, and certain healthy fats. Both avoid processed foods, sugar, grains and wheat products, legumes, most dairy, seed oils such as canola, soy oil, etc. (omega 6 PUFA’s). Jaminet also offers a ketogenic version which he recommends only for certain cancers and neurological diseases. Jaminet’s book is The Perfect Health Diet. He explans the science backing up his views, which is impressive and accessible to the layman.